Easyclix purposes some IT support and services, and computer repair in Sallanches, Combloux, Passy, Chedde and Saint-Gervais. Priniciaply, we are situated on the Chamonix’valley, we could come quickly to diagnose and repair your computer, in any critical situation, and, often, we could give you back your computer during the next 24 hours, at home or in your enterprise. 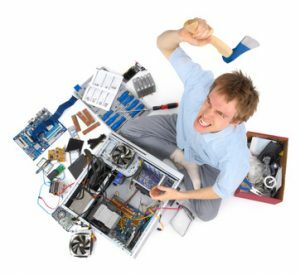 We could repair all computer components, laptop or desktop computers, PC or Mac, and we know a person that works fine in Chamonix to repair iPads and Smartphones. Easyclix comes to your home or in your enterprise for every IT support or service to give. 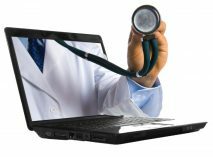 We repair computers, laptops and desktops, and we could help you to configure your Wifi, your printer, your scan, or configure your private lan at home or pfrofessionnal lan in your company. 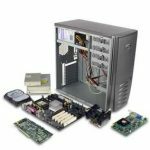 We repair Windows computers, Linux and Apple computers without problems, just with the good solution to give ! Easyclix purpose a lot of services on IT Services ot IT support : support of your datas, routers installation like Livebox, SFR Box, BBox, or private router, Lan installation, back up solutions, help on Outlook, etc. In our life we had repaired 500 customers and more in France, and we could too give you some important informations about your computer on Windows, OSX or Linux, and help you to use the Office Pack, and all the principal utils to use at your desk ! 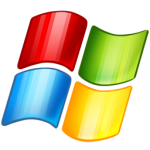 This is possible for Easyclix to apport solutions on every version of Microsoft Windows on Sallanches, Passy and Combloux : Windows XP Professionnal or home edition, Windows Vista, Windows 7, 32 or 64 bits, Windows 8, 8.1 or Windows 10 every version. We know this operating system since Windows 3.1, and we could help you too on Windows 95, 98, Millenium Edition or 2k. We are too certified on the Microsoft Office Pack since the 2000 version (Office 2003, 2007, 2010, 2013, 2016 and Office 360). We have a lot of pieces and components for your laptop at our desk in Chamonix Mont Blanc. We could have some parts if we buy them on the internet in 4 or 5 days, or, in some cases, we have old parts that run beautifully and that we could put in your computer for half-price (old pieces). Regulary, we take old components and re-mount laptops or desktops, with few new parts too, that we sell after that to our customers (like Macbooks pro, Dell computers, iMac computers, etc.). Easyclix is qualified to install at home or in your company all the necessary material to have a local lan, to work or share datas, with some special rights for some people, and other rights for other. We could securise all your important datas and customers folders ! 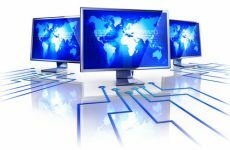 In a home lan, we could configure a little server to have access to your films, photos, videos, with any computer, iPad or Smartphone in the house ! Please contact us to know all the solutions that we have for that !